Established 10-years ago, we endeavour to provide every customer an outstanding service. You can rely on us to conduct a thorough inspection of your caravan, including everything from the tow hitch to the taillights. Adhering to all legislation, we follow the National Caravan Council approved schedule for our inspections. All appliances are put through their paces, and additionally, printouts can be supplied indicating the performance of gas systems, and a damp report is also supplied. This service includes all consumables, any road light bulbs and any minor adjustments. Full habitation check of your motorhome. Gas printouts and a damp report are also included. We are a Bailey of Bristol approved service centre for warranty and repairs. We are an approved Whale service centre for all Whale caravan products including I-Van. We fix most problems including floor delamination at our workshop. Just call us. We supply and fit motor movers and transfer mover from your old van to your new one. 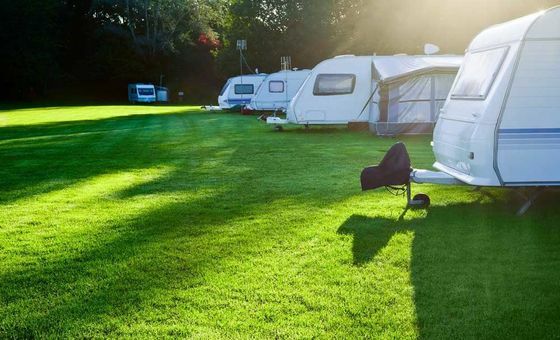 We can relocate your caravan to seasonal pitches. We are able to offer caravan storage at competitive rates within our 200-space secure facility. Contact our friendly team at our service centre in Dunfermline, Fife, for additional details about our caravan services and competitive prices.